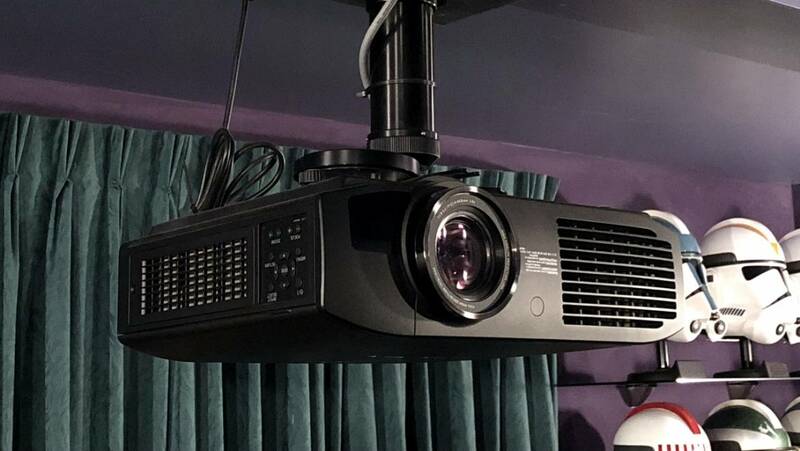 Bluestar Communications is a leading supplier of Canberra projector installation services for residential and commercial requirements. We provide tailored projector mounting solutions for all types of applications, such as meeting rooms, classrooms, conference rooms, auditoriums, digital signage, home theatres, bars, gyms and clubs. Our technicians have a broad scope of experience in the design and installation of complete residential and commercial audio visual (AV) fit-outs. We can synchronise a wide range of components with your projector, from sound and video systems to computers and automation. Our technicians provide a total end-to-end solution for our clients Canberra projector installation needs. We’ll initially arrange a consultation to assess your residential or commercial space, then discuss what type of projector you’re interested in and whether there are any other components you’d like to have installed with your system. We can also integrate components that you already have, if you prefer. Because of our extensive experience in projector mounting and complete AV solutions for new building fit-outs, we understand that your installation will need to align with the architect’s design and other trades involved. We are happy to collaborate with all parties involved in the fit-out to achieve the best results for your residential or commercial project. When we provide a quote for projector installation, it’s all inclusive of the products and services we supply and there are no hidden extras. Our technicians will also tailor your quote to fit your budget, available space and audio visual demands. Contact us today if you’re interested in Canberra projector installation or a combination of other audio visual services, such as home theatre or surround sound installation. Our technicians have the experience to find the perfect audio visual solution for your residential or commercial space. We also offer servicing and maintenance to ensure your system performs efficiently long-term. Our installation rates are competitive and we also offer affordable audio visual packages if you’re wanting additional services in conjunction with projector installation.